This is one of my favourite logo designs while I was Outback Signs. It took many layer effects to achieve the right shadows. 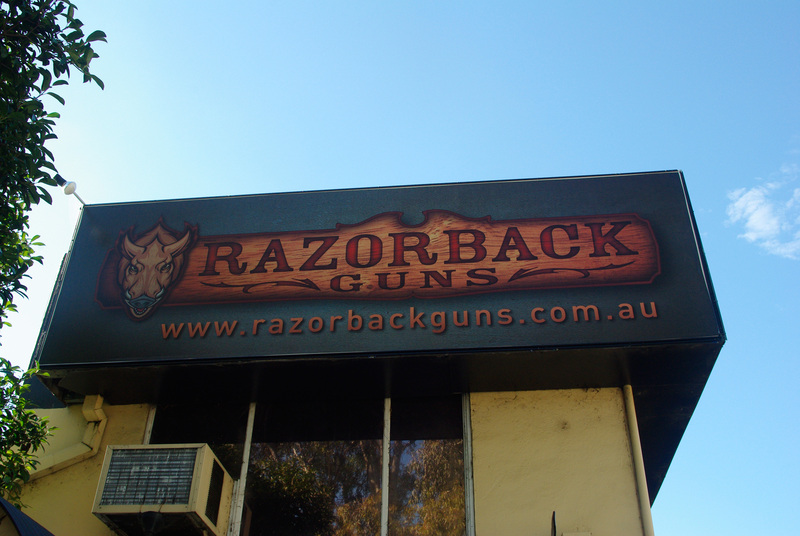 Create a logo and shopfront signage for an ammunitions store, communicating game hunting with the mascot of a razorback pig. 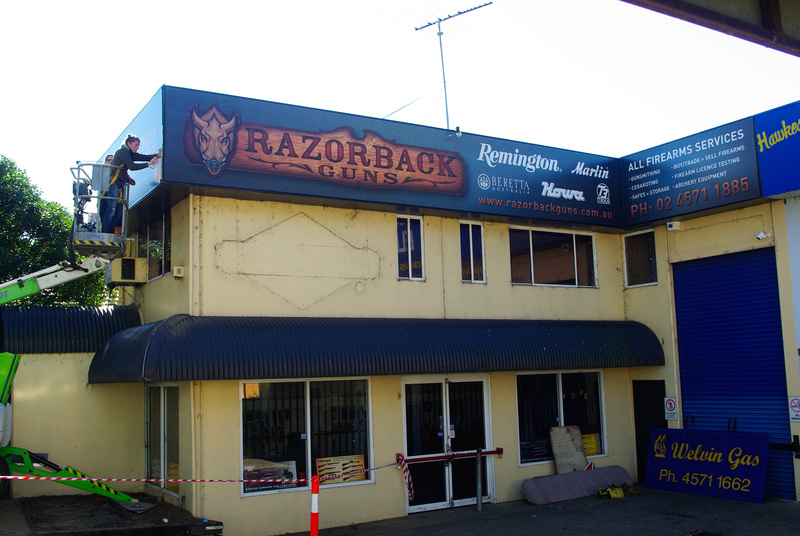 The Brief: Create a logo and shopfront signage for an ammunitions store, communicating game hunting with the mascot of a razorback pig.